I've had a remarkable couple of weeks working with students at The Children's House, and we're just getting started. This is quite the delight for me, because I taught at The Children's House in the early '90s, and so returning here feels a lot like coming home. 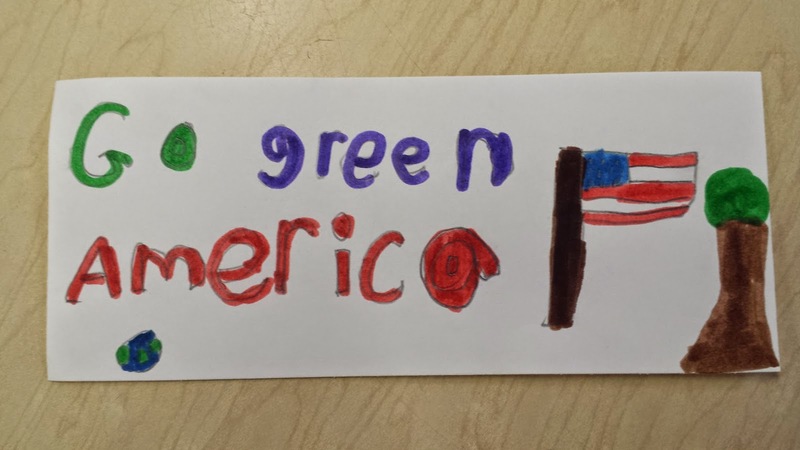 Two of my three kids graduated from this school, and there are numerous other family and personal connections. 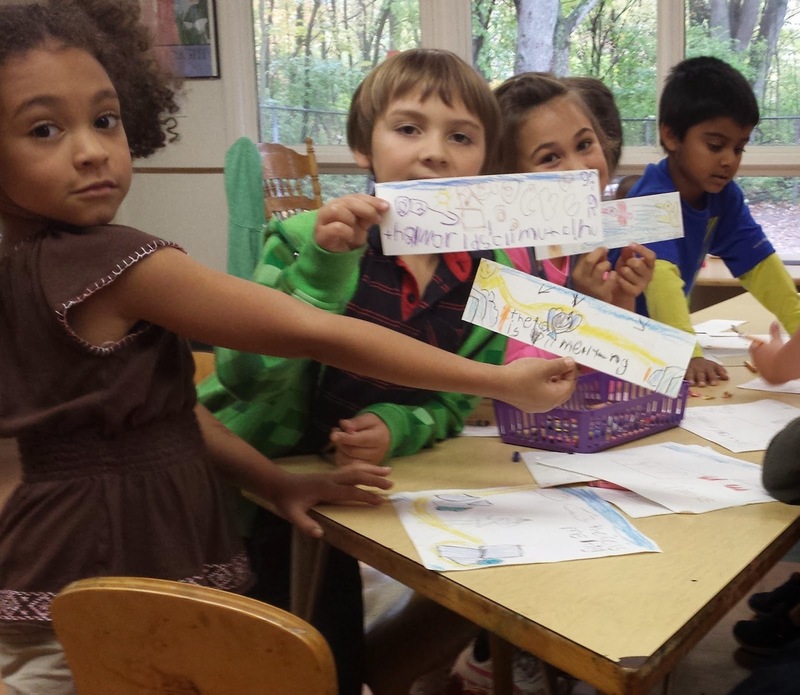 This experience is also the opportunity to work with the entire school, from kindergarten on up to the 8th graders. 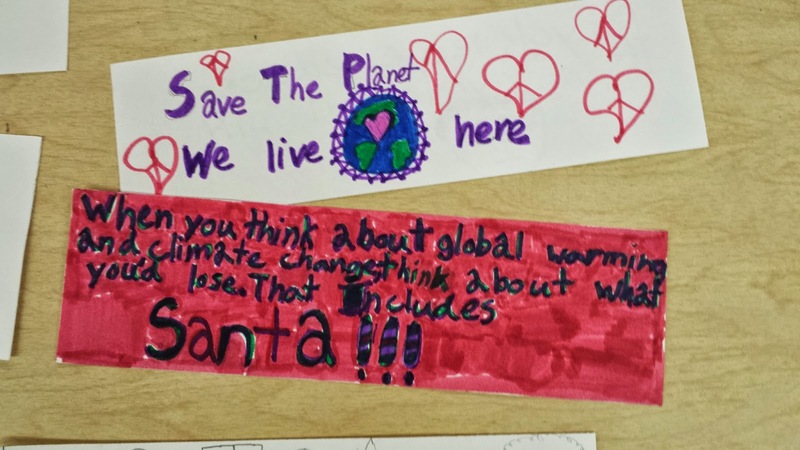 It involves the entire school in a remarkable, cross curriculum immersion on the subject of climate change. 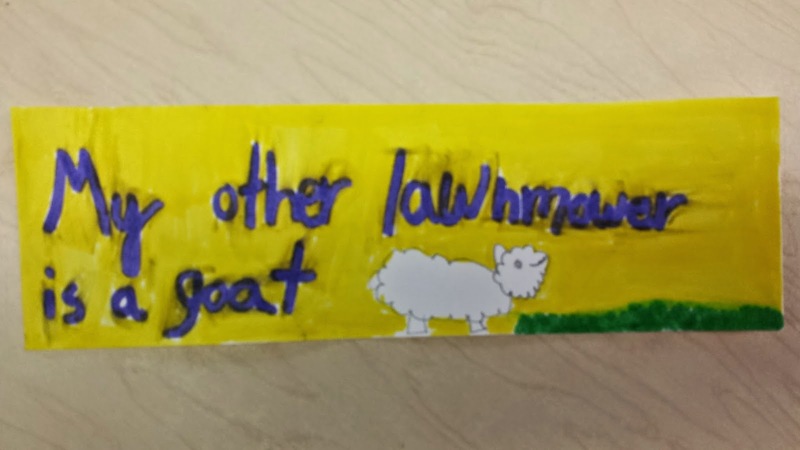 I guarantee I'll unleash a bunch of content about this 9 week project, but for now I'd like to concentrate on today's experience and the creative explosion I witnessed at the school. 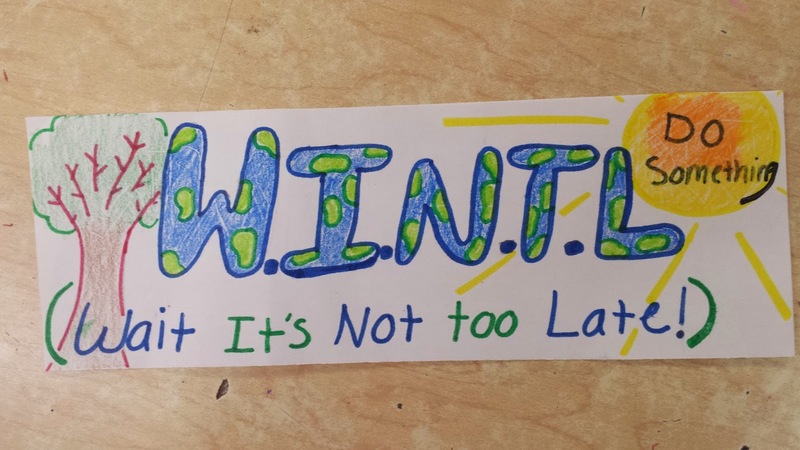 For last year's Indy Fringe festival, I collaborated with artist Will McCarty on a bumper sticker version of my climate reality slideshow, entitled Saving the World thru Bumper Stickers. I still occasionally use the bumper stickers in my work, but I hadn't pulled out the entire slideshow until last week for a presentation to Ball Sate University students on brevity in communication. 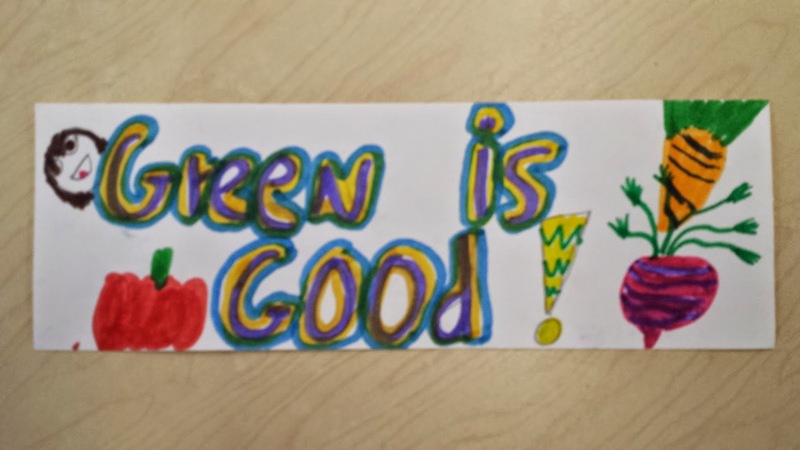 That Ball State experience provided the inspiration to bring the bumper sticker show to The Children's House today, and afterward, I asked the students to create their own stickers. 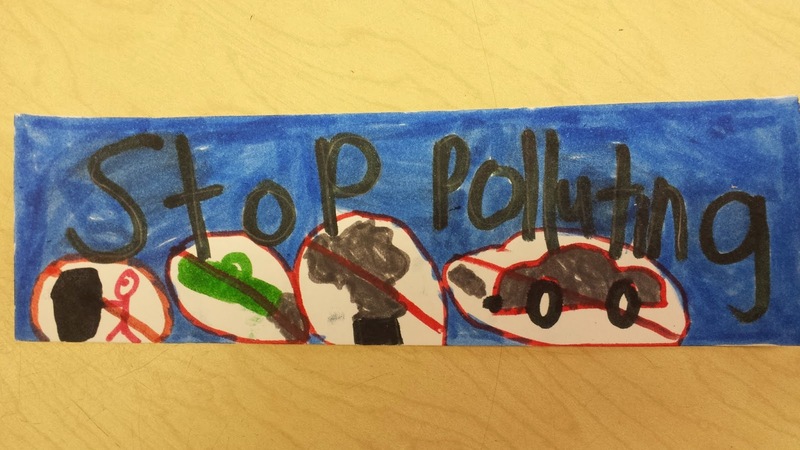 Feast your eyes on the creativity of these kids. 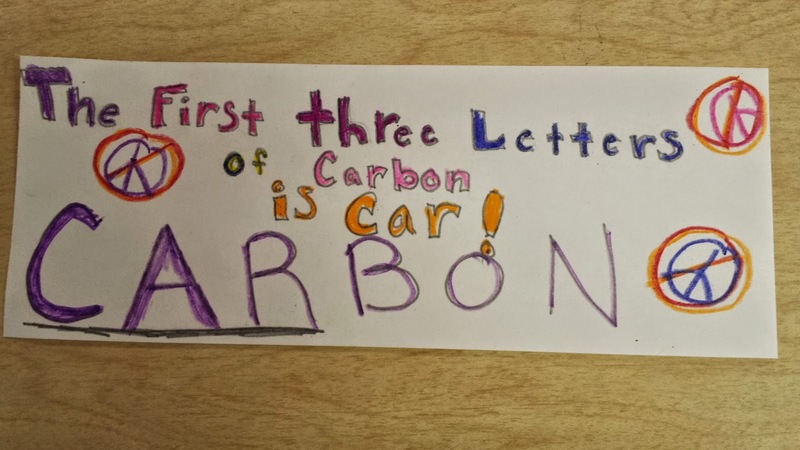 The irony is not lost on them: Cars = carbon emissions. 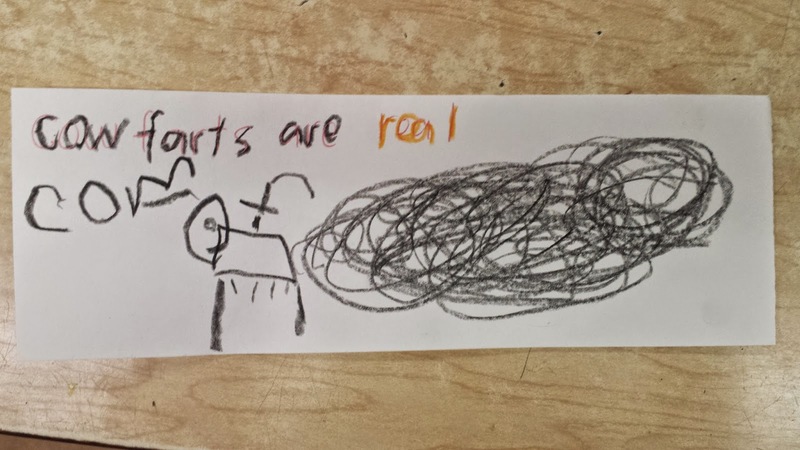 Just in case you're having any trouble reading this, it says "cow farts are real." 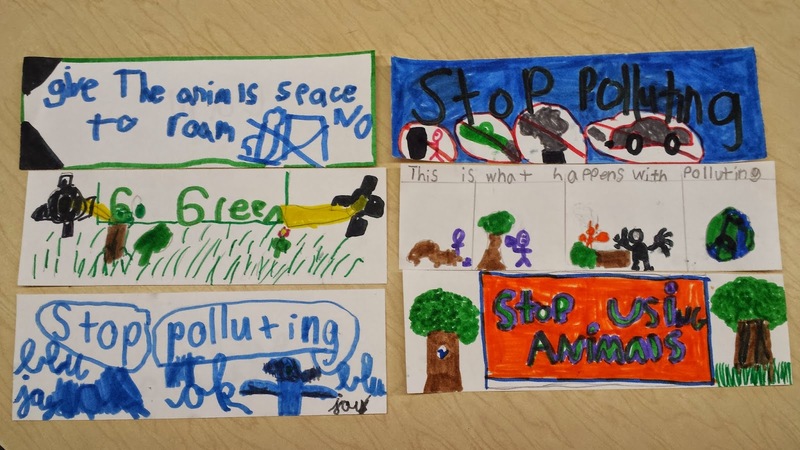 We talked about methane in the context of animal agriculture and the gases they emit. 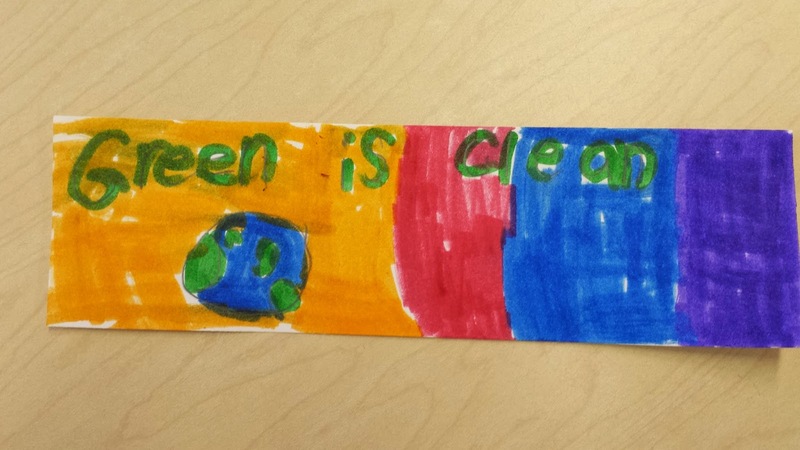 This student was inspired by the leafblower bumper sticker, above. 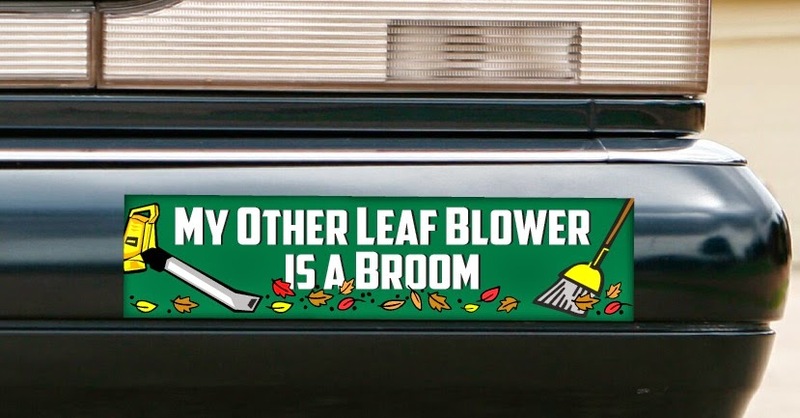 I thought the positivity of this bumper sticker — and those below — was brilliant. 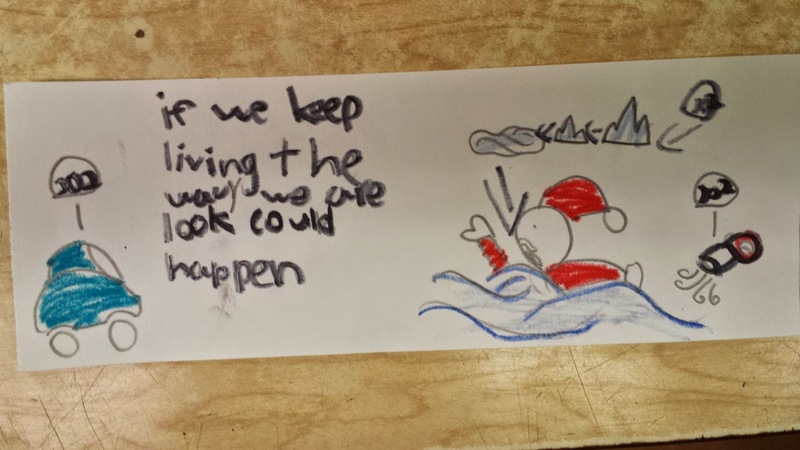 There's a lot of concern in the school that a melting Arctic will be problematic for Santa. 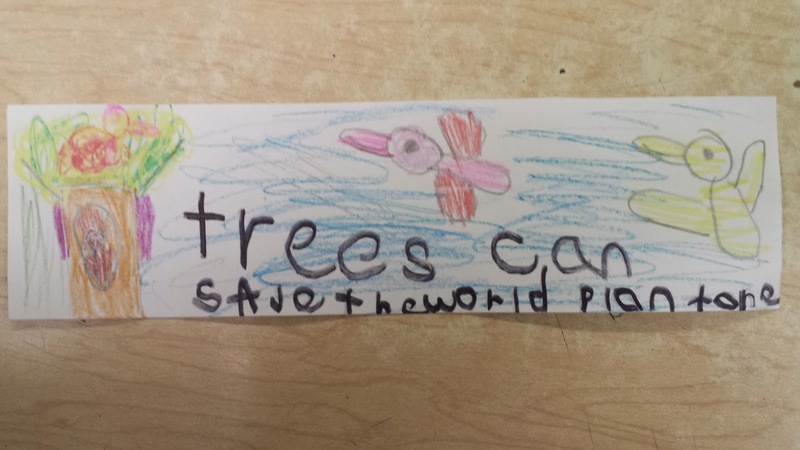 You have to love the optimism of this one.